Halfway done with new restaurants (30 Before 30 list, #11)! 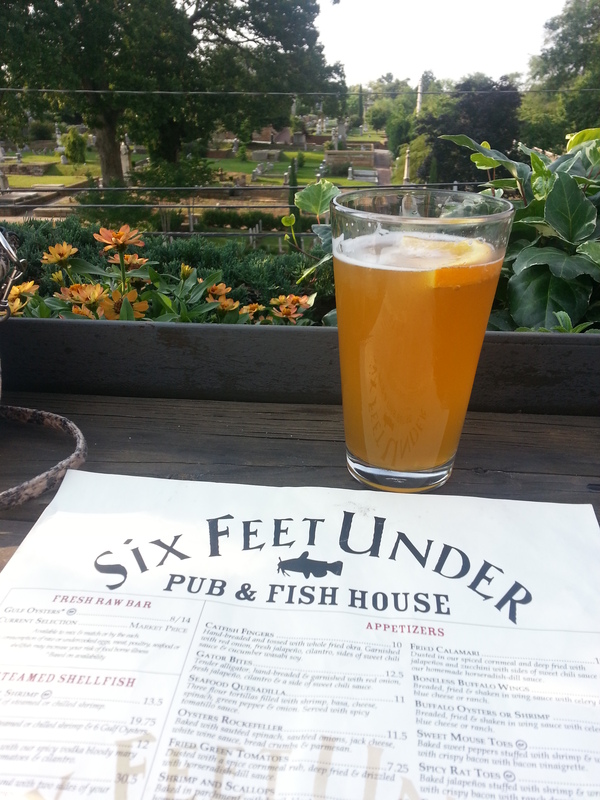 A friend gave me a great idea since the weather was nice, to take my visiting friend to Six Feet Under. Great patio that overlooks Oakland Cemetery – the oldest and largest cemetery in Atlanta. The view was cool, the weather was perfect, and the food was delicious. I got the combo basket: friend oysters, calamari, and catfish – amazing batter and jalapeño tartar sauce. Plus jalapeño hush puppies – we ordered extra of those. I’d definitely recommend it. Categories: Wonderful Wednesday | Tags: 30 before 30, Atlanta, restaurant, seafood | Permalink. One of my favorite restaurants is The Republic which is located right next to Six Feet Under. Maybe you can try that restaurant next! It’s really good. Yeah it looked like a cool place! Thanks!